It is a special gift to be sufficiently self-aware that you know what you do well and what you like to do that also pleases others. Couple that with an unwillingness to attempt to do something you don't want to do just to chase a few more ears or gather a few more favorable reviews, and you have Seattle's Seapony. What Seapony does as well as anyone -- that is anyone now or in the past -- is create infectious summer songs with jangling guitar, sweet vocals and melodies with a hint of melancholy. That isn't a template or a formula, it is the beating heart of a band that loves this music and just gets better making it with each outing. On A Vision, the now-quartet's third album, you can press play, close your eyes and feel the summer breeze and warm sun, hear the waves lap the shore, and feel the gentle pressure of your main squeeze's shoulder against your own. The words are there and they are sweet and inviting. But you don't need to even know what Jen is singing to connect with the music. These are songs that draw you into an atmosphere more than a specific story. And while there is plenty of variety in the 11 tracks, it is all carefully crafted to no break the spell. There is no major market gloss, but nor are there any ragged edges to distract you from your lovely summer dream. This album will take you through summer, and Indian Summer. And then you will pull it out when you want to be reminded about summer. Two tracks are available to stream below, but the album is packed with jangling gems. I particularly recommend "Hollow Moon" and "Go Nowhere". Seapony is Danny Rowland (guitar), Jen Weidl (vocals), Ian Brewer (bass), and Aaron Voros (drums). 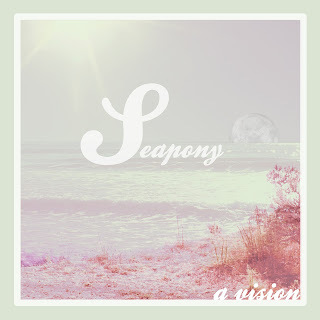 A Vision is self-released by Seapony, and is available in vinyl, CD, digital and cassette formats. See the Bandcamp link. July 31 is a busy day for indie releases this year, and several have really caught my ears. I will cover each of them today and over the next couple of days, so keep checking back for updates. 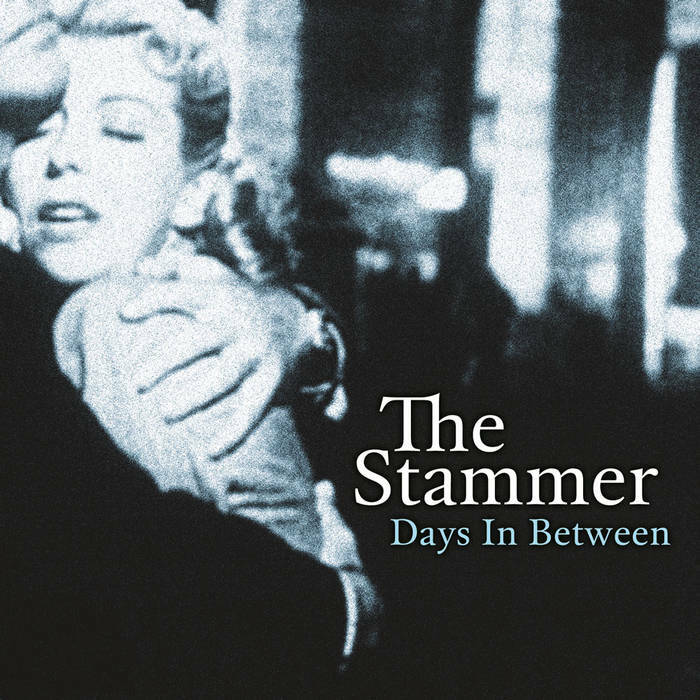 Philadelphia's The Stammer is a band that should be on your list of American indie rock bands to follow. Trust me on this. The quality songwriting and adept and sincere performances will win you over. And that is even before we mention the generosity of Brian, Zach and Gavin in temporarily offering new LP Days In Between as a free download. The album consists of eleven songs covering the spectrum from noisy post-punk to Springsteen-style indie rock to Smiths-influenced jangle to Antipodean folk rock. The confident percussion sets the stage, the guitars shimmer, sparkle and chug, the talk-sing vocals paint the pictures, and at the end you know that this album is a special slice of music. The three songs streamed below display the breadth of the songs on Days In Between. "Hey Joan" is a sad song with an upbeat melody, and has been a favorite of mine since I first heard it. 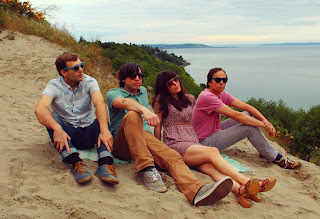 The title track has a jangling California country-rock vibe. The lovely "Kate & Chris" compares favorably to your favorite songs from The Go-Betweens, and is one that causes me to hover near the repeat button. You can stream the entire album at the Soundcloud and Bandcamp links below. Note that the album is a "name your price" download at Bandcamp, but the band advises me that the deal won't last forever, so act accordingly. And giving the band a few bucks for this wonderful album would be most excellent. We recently share the good news that Melbourne's Crayon Fields will soon release an new album on Chapter Music, and we included a stream of one of the album tracks, "She's My Hero". The quartet now has a video to showcase the song, and you can enjoy it below. Christopher Duncan follows his own path. The son of classical musicians and trained at the Royal Conservatoire of Scotland himself, he a unique ability to create richly detailed chamber, folk and dream pop songs that are both lush and completely accessible. And the versatile lad does his own album art, as well. Previously known primarily in the UK, Duncan's talent now is on display for all via hi debut LP, Architect, which is out now via Fat Cat Records. If one tries to look underneath the surface of the music for influences or references, it can be a bit of a tangled web. Do we mention the harmonies of Fleet Foxes (try "For" below)? Jazz experimentation? Classical composers? '60s pop icons? Yes, all of it. But it seems to me that the critical point is that C Duncan thrills, delights, soothes and, perhaps as importantly, surprises the listener with the breadth of his vision and his ability to render a cohesive musical statement from his inspirations. That the songs were created in his bedroom, layer by layer, further underscores the accomplishment. If you generally listen to guitar pop, you will find Architect a different beast. But it also is uplifting and rewarding. Start the day with the triple shot of "Say", "Garden", and "Here to There", then end it with "For". C Duncan is a damn fine soundtrack. Last October we brought your attention to the self-titled EP from Melbourne's Leisure Suite. An electro-pop delight, it left us hoping for more music soon. I guess now is soon enough, because we have "Sweet Gin", our first taste of the EP to be released later this year via Deaf Ambitions. Smooth and smoldering vocals and throbbing, skittering production have our full attention. The duo is Bridgette Le and Mitch. For live performances they are joined by Nicholas and Dylan. Last year The Popguns made a triumphant return to the scene with Pop Fiction (our review here), which was one of my top 30 albums of the year (list). They are too kind to allow us to get through the summer without another edition of their wonderful guitar pop, and it arrives this week via Matinee Recordings. The Still Waiting for the Winter EP combines the title track, which was one of the top songs on Pop Fiction, with three fresh offerings. "Still Waiting for the Winter" is a classic Popguns tune. The jangling guitars and dual female vocals tell a story of nights out in Brighton and reconciling the conflicting tugs of the past and present. The following "BN3" is an acoustic romance tale. "Why You Fell In Love With Me" is my favorite of the new songs, featuring an upbeat arrangement and lovely harmonies. The wistful "Diane's Song" closes the EP with a perfectly crafted echo of '60s pop. You'll love these tracks under the stars on the deck while the sun goes down, and long after the last sip of wine. Still Waiting for the Winter EP is out on July 31, but is available for pre-order now. It is offered in limited CD as well as digital formats. "Derek Scott" is a stomping and deranged dose of blues rock. It also is a reminder that the album on which it appears, Vol. II: The Ascent From Ego to Ego, is available from Natalie Pryce's Bandcamp site for "name your price". I have my copy -- do you? Here is a bit of advice to the women in the audience: Don't do Jimi Charles Moody wrong. You see, with your average guy, you do him wrong and he may say a few unkind things, send a few angry texts, and complain to your BFF (while trying to sleep with her). But you do Jimi Charles Moody wrong, and you might have your bad acts be the subject of a song storming around the airwaves. So unless you believe that all publicity is good publicity, be nice to Jimi. And speaking of nice things, after you enjoy "The Woman", hit the Soundcloud link and download Jimi's "Other Man" for free. Recording as The Rightovers, Chris Holmes draws a bulls eye on July 31, the internationally recognized heart of the summer, and then fires a burning arrow into it with Blue Blood. The guitars jangle and crunch, the harmonies sooth your soul, and the hooks fill the air like fireflies on a summer night near the lake. There are ten songs marinated in Rickenbacker jangle and cured in the sun, and picking your favorite is like trying to decide among your ten favorite desserts. Chris may be based in Hawaii at the moment, but there is a clear vein of his former Southern California residence here. "Valerie" is the perfect opener, with an uptempo melody and Chris' versatile vocals shifting between his ordinary register and falsetto. "Country Canyon" follows with a country-inflected rocker. We catch our breath a bit with the sweet mid-tempo "Vaseline" before sliding into two of my favorites, "So Famous I'm Fucked", which seems to me to have a bit of the old New Zealand '80s-'90s vibe, and the wonderful "My Trebly Underground", which lets you know what would have happened if The Jesus and Mary Chain had played with The Byrds. The band's cover of the Mekons' "Hello Cruel World" provides another dose of guitar grumble. Sun-kissed California jangle returns for "Arthurs Army" and "We Can Run/A Piper's Lament". "Floating Near the Sun" finds The Rightovers in a psychedelic frame of mind. The closer offers a tantalizing dose of additional variety with a funky psychedelic jam. It would be too easy to simply tout this album as a welcome addition to your summer soundtrack. But to my ears it is more than that. These songs are going to live with me beyond Labor Day, and I'm going to hope for more music from The Rightovers. 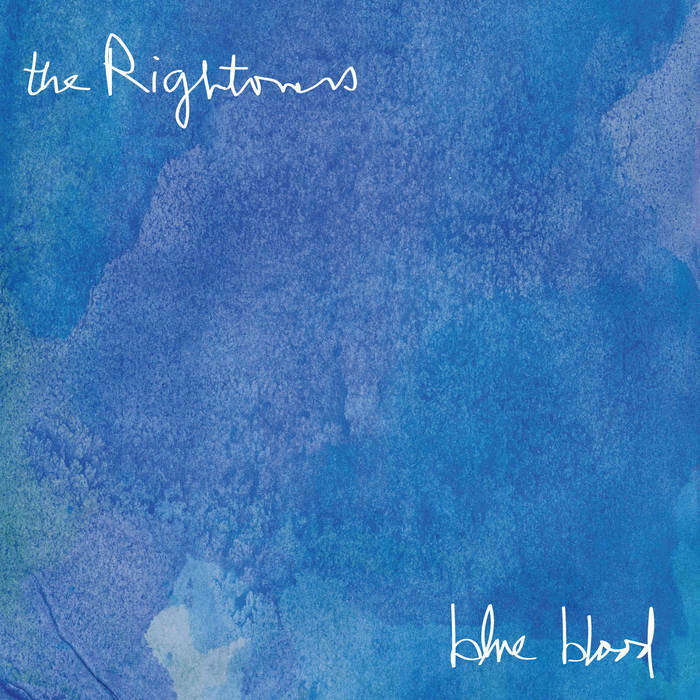 For Blue Blood Chris was assisted by Sarah O'Brien (backing vocals) and Mike Kamoo (drums). Limited vinyl and unlimited digital are available via the band's own Bandcamp and Jigsaw Records. Jigsaw also has the album in CD format. All necessary links are below.